Ok so if you’ve made the Roast Duck recipe you’re going to have some duck meat and a nice carcass left over. What to do with it? duck carcass (pull off as much meat as you can but don’t worry if you leave some on there as we can take this off once it’s been in the stock as it comes off really easily. 2. Now take off the heat. Remove the duck carefully as it will probably fall apart a bit. 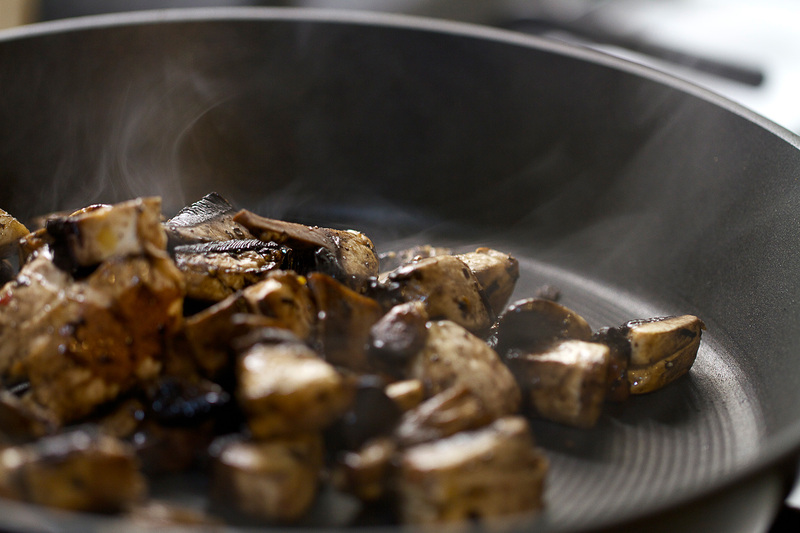 Put on a plate and strain the rest of the stock using a colander into another pan and put back on the heat. 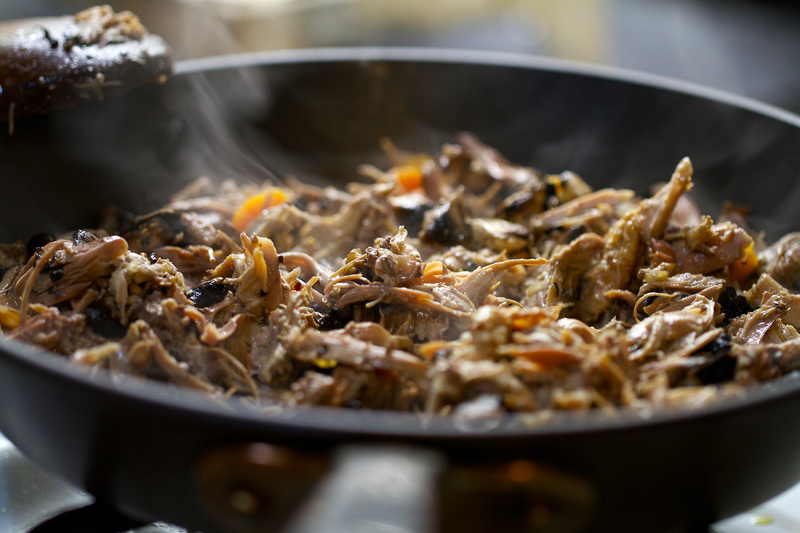 With the stuff you’ve strained which should be your carrot, onion and celery mix pop this on another plate and go through it to remove any duck bones in there. Be very careful with this as there will probably be lots of little bones. Once you’ve down this add to the stock. 3. 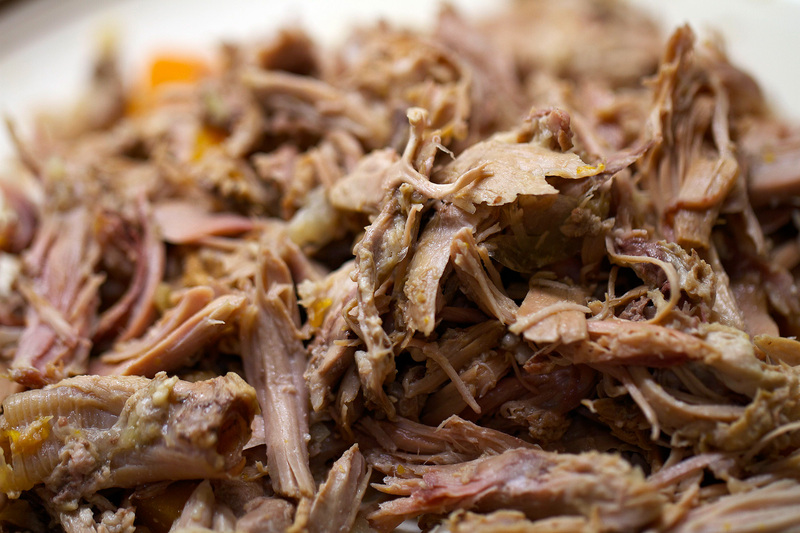 Now remove any spare meat from the duck carcass and add it to the meat you removed at the start. This can be any size and shape. Don’t worry about getting it all the same size or anything. Just put to one side. 4. Now for the mushrooms. While the soup is simmering gently get a frying pan on the heat on high. 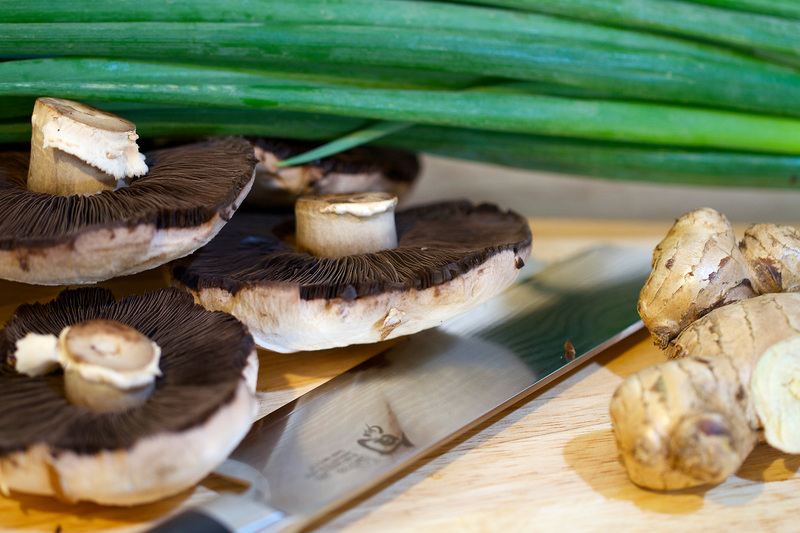 Get your mushrooms and fry these off in batches. Add to a dry pan, season with salt and pepper, cook for 2 mins then add a splash of olive oil and cook for a further 1 min then add to the soup. repeat this until you have one batch remaining but don’t add the last batch. 5. Now get your hand blender and whizz up the soup. Once you’ve done this add the duck meat and the last batch of mushrooms back to the frying pan, fry up for a minuet or two then add to the soup. 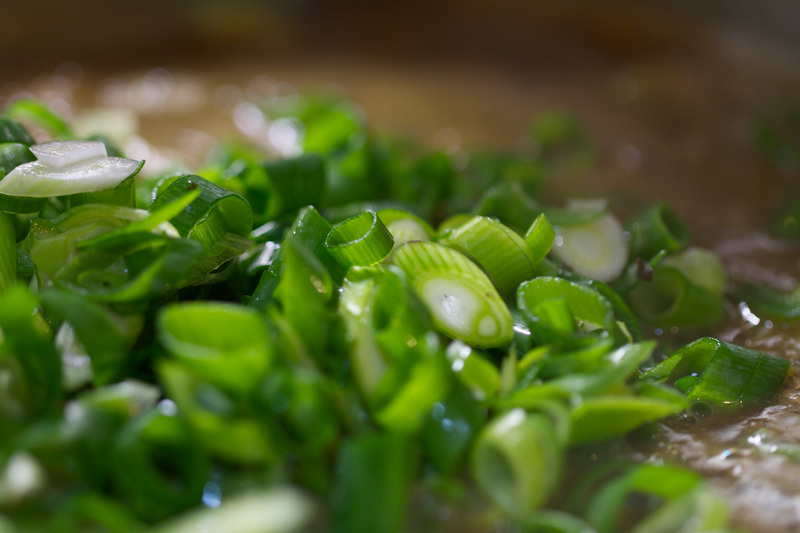 Finish off with a large handful of chopped spring onion and stir. That’s pretty much it. Taste and season with some salt and pepper. 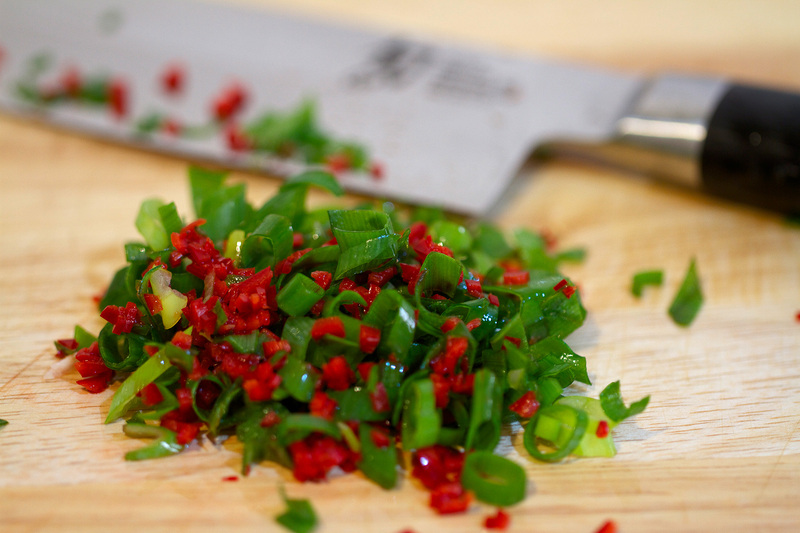 I like to add a big handful of finely diced red chilli right at the end to give it a bit of a kick. If you have any rosemary left over from the Roast Duck recipe then chop this up and add that in there as well. you could add some fresh parsley or even a bit of mint. 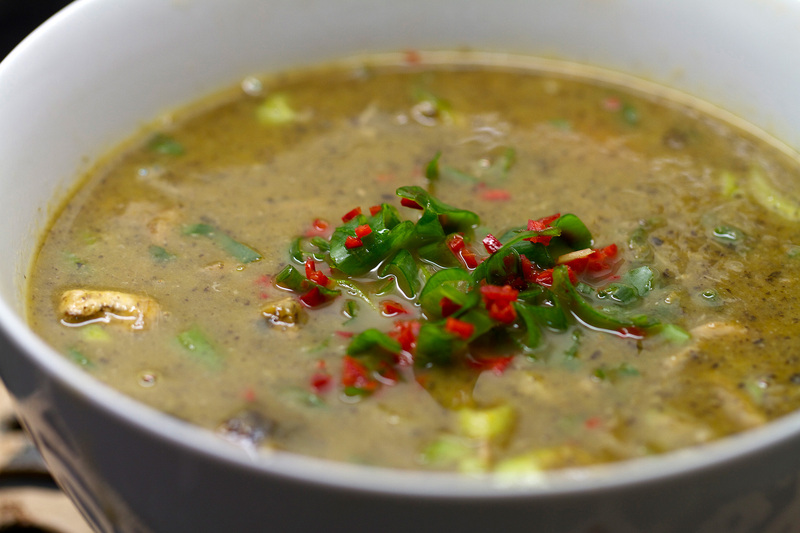 Serve with some freshly diced red chilli and spring onion on top of the soup.